Manufacturer of a wide range of products which include oil fired curing oven. 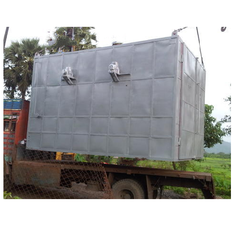 Within the short time period, we are engaged in presenting an excellent grade of Oil Fired Curing Oven. The stainless steel body coated with fire and heat resistance paint help in keeping the temperature at the moderate level. This oven uses air as the medium for heat various industrial stuff and materials. The computer digital system that uses a micro sensor helps in controlling the flow of heat from tray to another.